Calling all Strand Brewers, add Nov 11th to your calendar. Come join and brew with the Strand Brewers and Jason @ Scholb Premium Ales. Reserve your 5 gallons of wort today. LIMITED QTY – 30 (5 GAL) TICKETS! 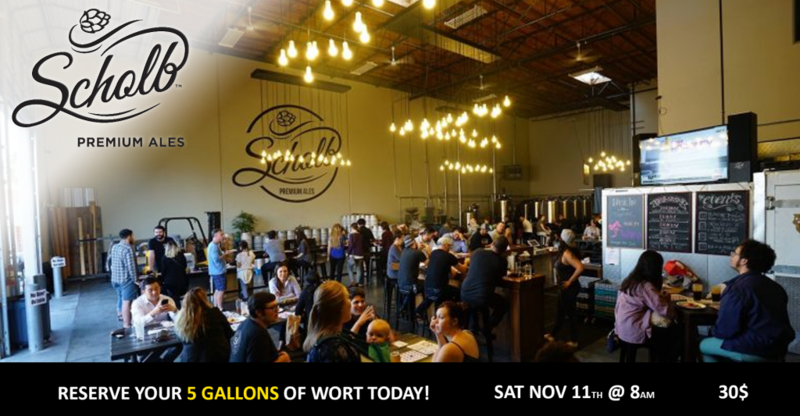 We expect to be sold out prior to the event so make sure to reserve your wort today.